Gustav IV of Arendaal ("Gustav the Learned") (1426 - 1480) was the King of Arendaal between 1454 and 1480. 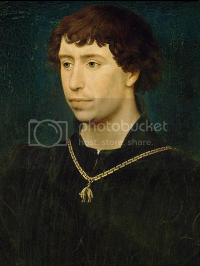 He was the second son of Queen Regent Madeleine I of Arendaal and Prince Charles of Montelimar, and came to the throne when his elder brother King Pieter I, who suffered from a debilitating mental illness, abdicated in 1454. Gustav IV is principally remembered for his legacy as a consummate Renaissance man and for establishing ties to the Duchy of Potenza through his marriage to Countess Niccola Grimaldi. Under his rule, the country flourished econom ically, intellect ually and artist ically. 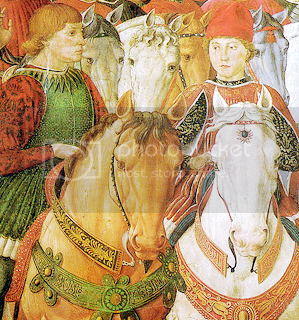 He was viewed with admiration by ordinary citizens and the Aren nobility alike, as well as by many foreign rulers who took his example of a King devoted to Renaissance ideals as a model for their own rule. Although it was his son Harald III and his descendant Frederik II who were hailed as the Renaissance Kings of the country, it was during Gustav's reign that the seeds of the Renaissance, which had been previously introduced into Arendaal by his grandfather King Niklaas III, began to flower and take firm hold. As Gustav IV came to power upon his brother's abdication, many assumed that he had stolen his brother's power by taking advantage of Pieter I's insanity. However, there is overwhelming evidence to show that Gustav cared for his sibling and for his well-being. After his abdication, Pieter I lived comfortably, and often contently, with an entire household of caretakers at Loire Chateau, where his brother visited him frequently. He never showed the slightest inclination to return to the throne. Pieter's confessor, when writing an account of the King's life, professed of Gustav: "never could a brother be more kind or more gentle". Gustav IV was also demonstrably generous to his other relatives. 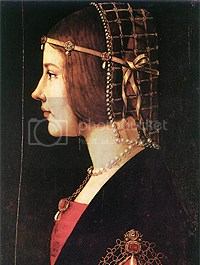 When Pieter's wife, Eliana of the Talemantine Empire desired to have her marriage annulled following Pieter's abdication, Gustav intervened to procure it for her. Gustav IV was ever a great Renaissance ruler, especially seeking to strengthen ties with southern Europe. 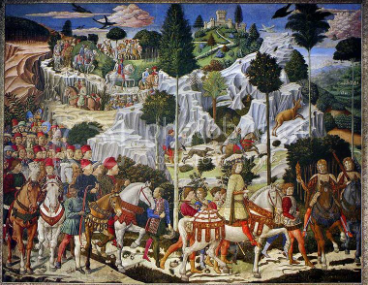 His own marriage to Countess Niccola, of the House of Grimaldi, a Princess of the southern European Duchy of Potenza fostered firm ties to the south. This was something the marriages of his children would similarly reinforce, especially with the Talemantine Empire. In addition ties were also strengthened to the Nordic, French and Germanic Kingdoms with which Arendaal had historically close relations. This was especially true thanks to the marriage of his sister Empress Madeleine to the first Franconian Holy Germanic Emperor. The King was praised for his generosity and concern with the lives of ordinary people, though courtiers often claimed that he was too cold, calculating and "too much of a realist" to be truly approachable. Gustav was more of an administrator than he was personable, a respect in which he differed from his son, Harald III, who was celebrated for his charm. Gustav IV modernized the justice system and showed concern for the welfare of his subjects. He encouraged learning, literacy, science, music, new architectural undertakings and the fine arts. He promoted commerce and gained great wealth by establishing banks in Arendaal and around Northern Europe. He improved and modernized Aren harbours, greatly aiding commerce between Arendaal and foreign powers. He fostered irrigation projects throughout the country, nearly doubling the amount of land that could be cultivated for agriculture throughout the country. The King also enacted edicts of rights for minorities like Jews and other persecuted foreigners (in many ways setting the foundation for the later Edict of Bergen of 1560 which would enshrine its Acts for the Preservation of Religious Freedoms into the very heart of Aren law). Gustav IV's 26 year reign had been one of prosper ity for Arendaal and his passing was greatly mourned. One writer wrote of Gustav IV's death: "My pen cannot express all of the great and good qualities that he showed...in all things he was better than the best. No elegy can ever equal his merits." 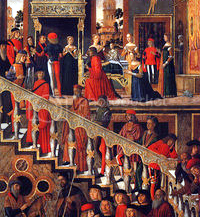 Gustav's court included artists and scholars who are now renowned as pillars of the 15th century Renaissance. Along with the many works which he commissioned himself, he helped artists and inventors secure commissions from other patrons. He invited artists, scholars and authors to court, often paying for their expenses and even dining with them as equals. He paid for the training of many young budding artists (girls and boys) who displayed a natural talent for the fine arts. Gustav was something of an artist himself, writing poetry in Norse Arnen and in Latin. In his poetry he celebrates life even while—particularly in his later works—acknowledging with melancholy the fragility and instability of the human condition. Love, feasts and light dominate his verse. He supported the development of humanism through his circle of scholarly friends who studied Greek philosophers, and attempted to merge the ideas of the ancients with Christianity. He also began the collection of books which became the Library of Fontainebleau, featuring rare first editions of classical works and other priceless works. He employed a large workshop to copy his books and disseminate their content across Europe.